Hello friends! With December right around the corner, I've been wanting to do a gift guide for the special ladies in our lives. Whether it be your friend or lover, here are some of my favorite product for your favorite gals! This lipstick one of my favorites! Perfect matte feel, and one can never have too many wine colored lipsticks in winter, amiright?! This shade found at Sephora . Set and all of Verb's styling products can be found here and here. 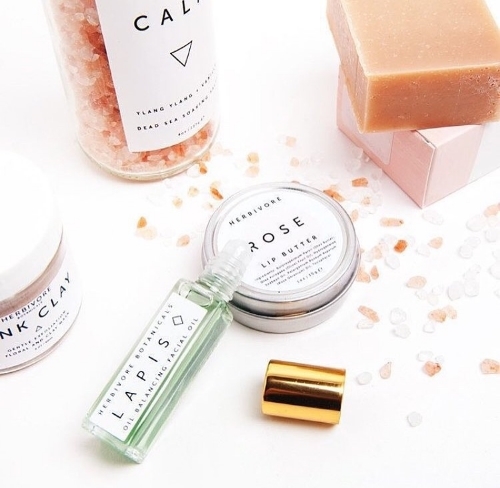 Urban Outfitters always has great ideas for kits and beauty items for gifts! I love the variety of products. Definitely makes shopping easy, and I'm all about ease during this crazy shopping season! Cold weather means consistent cups of coffee & tea, and a good mug to go along with it! The one pictured above is from Anthropologie, and is purrfect for the cat lovers in your life. See what I did there? A good bag is a staple for any gal's fall wardrobe! 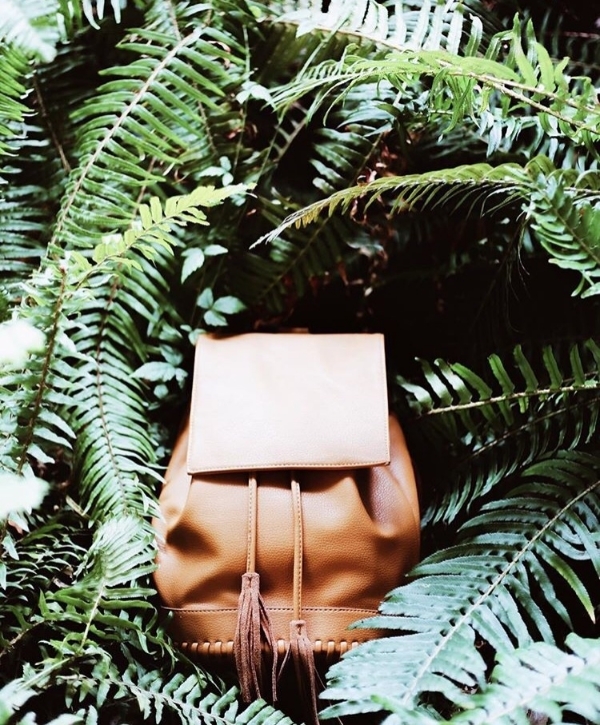 Spice it up with a backpack from Moorea Seal. Not only is it $68, but her site is FILLED with small trinkets from jewelry to bath products. Don't say I didn't warn you! Link for backpack found here. I'm such a huge fan of homemade goods, and Kylie is such a talented artist. 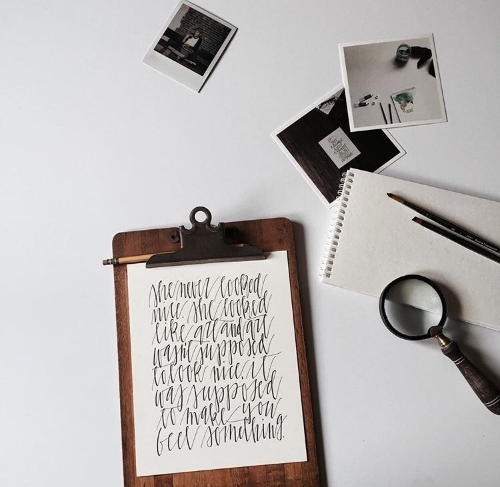 With a handful of quotes to choose from, it's nearly impossible not to fall in love with her work! Kylie's prints can be found at her etsy shop, here. I LOVE natural products. They have forever changed my skin! So finding Herbivore Botanicals has been life changing. Their Hydration Kit (with some of my favorite goodies), can be found here . One of my favorite Etsy shops belongs to The Object Enthusiast. I fell in love with her pieces long ago, (I have many in my home), that range from ring trays to air planters! Her beautiful etsy shop can be found here. Fact: You can never have too many candles. It's impossible. Here are a few of my favorite candle brands! P.F. 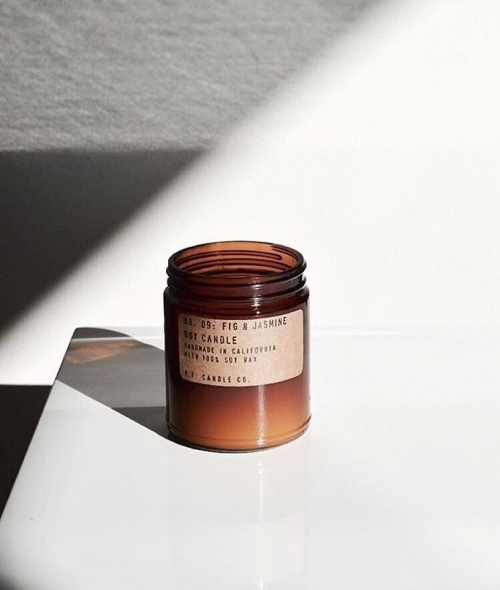 Candle Co.- Spruce is a new favorite scent of mine! As well as Teakwood & Tobacco. Their candles can be found here! Great Bear Wax Co.- Lighting these candles instantly transport me to my happy place or Colorado. Love their forest and wooden scents! Candles can be purchased here . I cannot say enough nice things about the ladies from Opal & Gold. Hands down my favorite jewelry line, and the fact they're local to Kansas City is an added bonus. If you're looking for something truly one of a kind, these gals have your back! Browse their unique pieces here. Another favorite spot in KC is Shop Future! They always have wonderful trinkets, including skincare, pottery and best vintage clothing. Shop their goods here ! I'm convinced that it's truly impossible to walk into Hammerpress and leave empty handed. This is a letterpress print shop that carries their own cards and posters, as well as small trinkets shown above! (Items shown above are sold in store, but you can buy their prints online here ). Sharptooth Studio was something I stumbled upon earlier this year, and I'm so glad I did. From embroidered pennants to pennant flags, they make great little gifts for everyone! Yaaaas Queen! 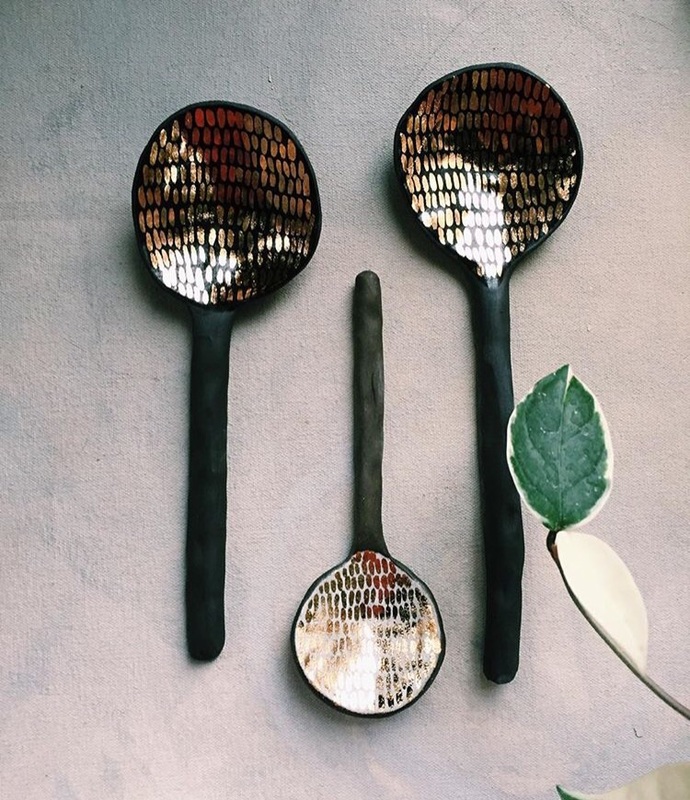 Local Eclectic is a wonderful site for buying goods for your bestie. Comical gifts? Yes. Beautiful jewelry? Yes. The only thing I can't guarantee is that you'll end up getting something for yourself as well.... Ain't nothin' wrong with that! Find their awesome products here . Convivial Production is another KC homegrown company that has a special place in my heart. Her pieces are each handmade, which make a completely unique gift for your special someone! Her pieces can be purchased in here Etsy shop, here.